CHICAGO—Guy Medaglia, Saint Anthony Hospital CEO for the past eight years, doesn't have much interest in being friends with other local hospital leaders. He doesn't attend CEO meetings and he's certain that if any of them saw him on the street, they wouldn't know who he is. 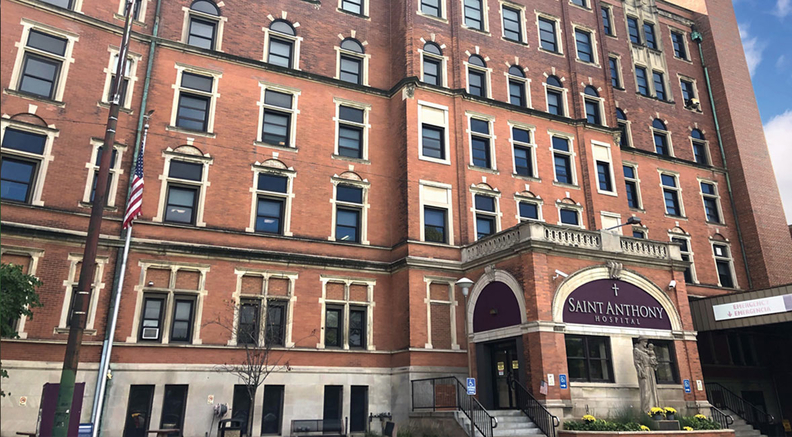 Saint Anthony, an independent community hospital, is located on the city's Southwest Side, just down the street from academic trauma provider Mount Sinai Hospital. With just 151 beds, its presence is small in comparison to Mount Sinai's 319 beds but it's managed to stay financially stable and—perhaps most surprisingly—independent. Saint Anthony made a splash nine years ago when it did something unexpected: The board decided it would break away from national provider Ascension and instead of finding a new parent, go at it alone. While consolidation has become the norm, Saint Anthony has no plans of merging. Guy Medaglia has led Saint Anthony Hospital on Chicago's Southwest Side for eight years. “There were a lot of bets out there that Saint Anthony wouldn't be able to make it past two years, let alone nine,” Medaglia said. He joined Saint Anthony in 2007 from business advisory firm FTI Consulting with the expectation he would only stay for eight weeks to help the struggling community hospital get its footing. His colleagues at FTI thought “I'd lost my mind” when he left the firm permanently to lead the hospital, he said. Healthcare financial experts say Saint Anthony has been able to stay independent because it understands its role as a community hospital and embraces it from a strategic standpoint through engagement and partnerships with local institutions. Unlike other independent hospitals, Saint Anthony doesn't have the pressure to be anything but a community hospital, Schroeder said. Independent hospitals in rural areas, which have struggled financially over the past decade, usually have to provide comprehensive clinical services because they're often the only provider in the community for many miles. Saint Anthony doesn't have to invest in more expensive service lines like a trauma center because patients can find those services down the street at Mount Sinai or a few miles away at other academic institutions in the city. Medaglia said Saint Anthony doesn't try to compete with Mount Sinai but that both institutions provide different services for the same community. He called Saint Anthony's proximity to Mount Sinai an “informal” partnership. Trauma cases go to Mount Sinai and Mount Sinai transfers pediatric patients to Saint Anthony. Mount Sinai no longer has an inpatient pediatrics unit. The presence of both hospitals in the same community gives patients “choices,” Medaglia added. This strategy has helped Saint Anthony stay financially afloat although its margins are slim. In fiscal 2017, it posted $111 million in operating revenue and a $1.12 million operating gain, according to the Modern Healthcare Metrics database. Since splitting from Ascension, Saint Anthony has only posted an operating loss one year—in fiscal 2016—and that's because the state didn't have a budget, so no Medicaid funds were disbursed. 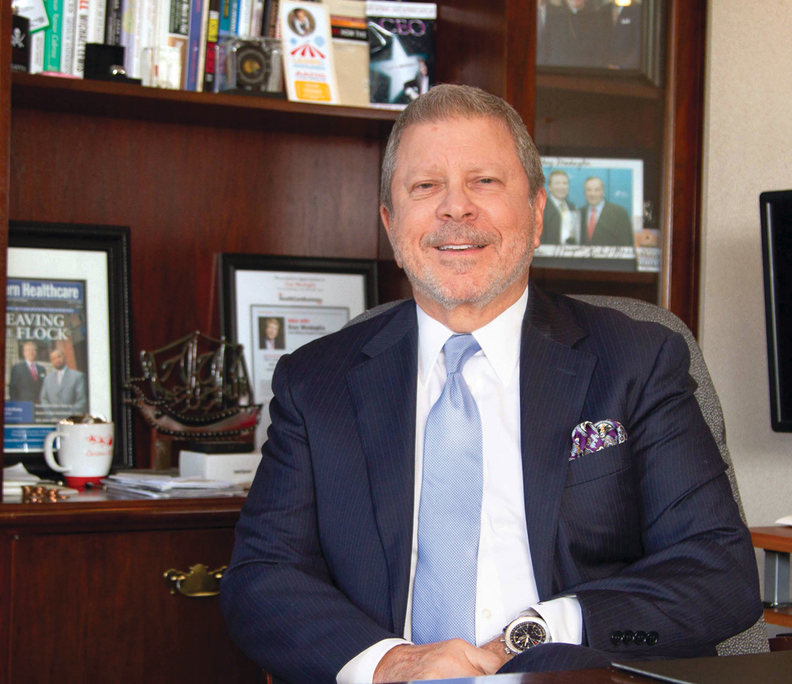 Even though Medaglia insists Saint Anthony isn't in competition with Mount Sinai, it has engaged in formal partnerships with local academic institutions to expand the specialty services it provides. It now has partnerships with the University of Illinois Hospital and Health Sciences System, the University of Chicago and, most recently, Northwestern Medicine. In February, Saint Anthony announced it would offer telestroke services in its emergency department with neurologists from Northwestern Memorial Hospital available 24/7. Medaglia said he likes partnerships because they allow Saint Anthony to remain independent but still gain additional services for its community. It wasn't always easy to find compatible partners. Without naming the provider, Medaglia said Saint Anthony's first partner turned away patients referred to it who were on Medicaid or undocumented. About 40% of Saint Anthony's patient population is on Medicaid. Medaglia said he often feels CEOs say they want to help the underserved but actually don't make it a priority strategically. “I just wish they wouldn't tell everyone they take care of the poor and they really don't want to,” he said. Saint Anthony has likely had better luck recently in finding willing academic partners because not-for-profit institutions are under pressure to prove they deserve their tax-exempt status, said Kelly Arduino, a partner at consultancy Wipfli. Through partnerships, academic institutions can “keep the government off their back and in the meantime they can choose the kind of Medicaid patients they want,” she said. Another big part of Saint Anthony's strategy is engaging with the community. Saint Anthony has had a community wellness program for about 20 years and it has grown under Medaglia's leadership. The department is fully staffed with 36 people. Free mental health services are offered along with wellness screenings and health education at its three community centers. Additionally, Saint Anthony has made a diligent effort to partner with community organizations including local churches and not-for-profits such as the Lawndale Christian Legal Center, which offers legal and social services to the community. Saint Anthony leaders are also present when violence happens in the community to offer support. “If there is a prayer service in the community, it's not unlikely you will find someone from Saint Anthony there. I've been at a prayer service at 12 a.m. where violence happened,” said Jim Sifuentes, senior vice president for mission and community development. Saint Anthony recently received a $1 million state grant as part of the Victims of Crime Act, which allowed the hospital to place additional therapists and community organizers throughout the community to help victims of violence. “Most of the people in these communities, if they haven't experienced trauma directly, just by the nature of living in these communities, they have seen or heard about it in some capacity,” Sifuentes said. Also under Medaglia's leadership, Saint Anthony has worked to counter a long-held stereotype that it's a hospital just for the Latino community because of the neighborhood's demographics. Medaglia and other Saint Anthony leaders have connected with the large black community by attending local church services to gain trust and familiarity. Medaglia said he's quiet about Saint Anthony's community work, and the hospital rarely holds media events about it. “I've got this belief that no one is interested in what's going on at 19th and California because we are a small facility, but as long as we are able to help people, that's why we are here,” he said. But Schroeder at PA Consulting said it has served Saint Anthony well to get to know its community. The hospital makes smart investments it knows its patients need. For instance, it was the first Illinois hospital to put in place the baby box program—offering expectant mothers specially equipped boxes to serve as an infant's first bed—along with an education component. The internationally recognized program is a way to prevent sudden infant death syndrome. “They are leveraging this in a new way by combining it with education. That is an interesting example of knowing who their demographic is and leveraging innovation around that,” Schroeder said. Saint Anthony's consideration for its community is also visible in its plans for a new campus. The current hospital building, which is over 125 years old, is too expensive to maintain, so Medaglia began plans to build a new hospital about four years ago. After studying the community with help from the University of Nebraska, Saint Anthony learned that patients wanted more than just a new hospital, but a hub where they can get care, shop and spend time with family and friends. Along with a new 150-bed hospital, the 32-acre campus, which will open sometime in 2021, will have more than 250,000 square feet of retail along with a child-care center, an outpatient and specialty clinic, a recreation center and an education center. “If you are living in this community and you want to have a wedding or you want to have a birthday party, there is no place around here, it's someone's home, so we are going to have social rooms,” Medaglia said. The hospital decided not to increase its current bed size with the new building but it will have private rooms. “I see beds going away.” Medaglia said. “I saw them going away back in 2007 when I came to this place; 150 beds are about right for our community with more emphasis on outpatient.” Saint Anthony has five outpatient clinics. Saint Anthony didn't have the capital to build a new hospital campus, so Medaglia created a not-for-profit company separate from Saint Anthony called Chicago Southwest Development Corp. Saint Anthony will pay rent as a tenant and all company profits will be reinvested back into the community, Medaglia said. The development has attracted investors to pay for the project. “This community is filled with trauma. They worry about their kids getting shot or they are beaten, so we need to make this community better and this is going to help,” he said. Considering the community's unique needs, Medaglia said he has no interest in finding a parent for Saint Anthony.